Picasso’s art closely follows his personal experiences and also reflects his views on society and politics. Even his choice of colors play an important role, with blues and greens reflecting a depressive state and pinks and oranges showing the return of love and happiness in his life. 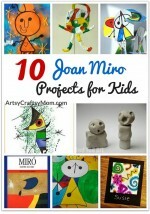 There is a great deal that kids can learn from Picasso’s work. How closely colors are related to our emotions, for example, or how art reflects not just the artist’s emotional state, but the state of society as a whole. 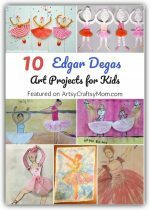 Many of Picasso’s works have lots of layers and depth, but that doesn’t mean that kids can’t do activities based on them!! 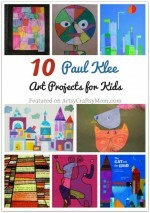 Here are 10 Pablo Picasso projects for kids to engage in! Among the most popular of Picasso’s Cubism works are his paintings featuring faces. The combination of a front and side view renders itself to some interesting craft projects for kids, like these Picasso faces tree ornaments from Kids Activities Blog. This Christmas, go arty with some really cool ornaments. It is to Picasso’s credit that he can make a simple art of two hands clasping a bouquet a grand symbol for peace and brotherhood. This lovely collage from One Project Closer is derived from Picasso’s ‘Bouquet of Peace’ and makes use of some lovely colors! During the early 1900’s, Picasso experimented with sculptural design and made a guitar sculpture out of cardboard. It was impressive but too flimsy due to which the artist made a sturdier one later, in metal. Kids can try their hand at making the cardboard version with this easy tutorial from Make it and Love it. The period from 1901-1904 is know as Picasso’s ‘Blue Period’ since most of his work during this time were full of shades of green and blue. This was a depressing time for him, and he often painted sad faces and sick or starving people. Art Projects for Kids has a great way to help kids understand the emotions behind the blue period with a downloadable tutorial. Picasso’s collage painting, ‘The Three Musicians’ is a wonderful example of his cubist style and is said to represent the artist himself along with two of his close friends. Room 101 art showcases an adorable way to recreate this painting, with a collage, of course! 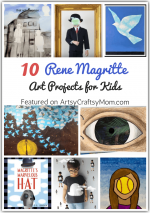 This is a great book to introduce kids to the famous artist. With kid-friendly language and lots of images, this is a must buy for your child! Super Coloring has many printable coloring pages of artists’ works, and there is one featuring Pablo Picasso’s self-portrait as well! While he has created several self-portraits, this is one of the most popular, and was painted in 1907, and reflects his cubist style. Picasso was among the first artists to use collage techniques in his art. So combine this technique with his cubism style to make these fun self-portrait collages as shown in Meri Cherry. Watch out – it can get quite addictive! Picasso’s work focused on some themes more than others, like jesters, acrobats, birds and animals. The rooster was one of his favorites and is prominent in, ‘Le Coq’, a work of art that reflects some lovely lines and colors. Deep Space Sparkle shows a lovely art project using oil pastels. Just as Picasso’s ‘Blue Period’ works reflected sadness and despair, his ‘Rose Period’ reflected much more cheer, with lots of orange, peach and pink. Deep Space Sparkle has a woven placemat heart in this color scheme that are really easy to make! 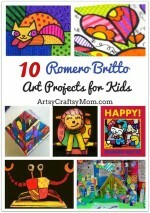 Show your kids pictures of Picasso’s work from various periods of his life, and they’ll soon begin to appreciate them. 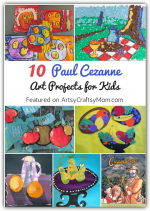 Who knows, you might be inspired to make your own Picasso project! !